Rumors of an iPhone Mini are buzzing around along with a ton of commentary on the possibile device. In the world of pundits and Apple critics you’ll hear both praise of the idea and tons of complaints as to why it shouldn’t be made. The most prominent complaint is that an iPhone Mini/iPhone Nano’s screen would be too small to be usable, and that by creating another iPhone screen resolution Apple would further complicate UI development for the entire iOS platform. If you listen to the Apple critics, this would somehow lead to Android style fragmentation of the iOS world. I don’t think that’s going to happen though, and here’s why… I think an iPhone Mini will use a screen very similar if not identical to the current iPhone 4. Let’s review the iPhone Mini reports and we can see evidence suggesting this to be the case. Apple would sell it at a low price mainly because the smartphone will use a processor, display and other components similar to those used in the current model, rather than pricier, more advanced parts that will be in the next iPhone, the person said. Component prices typically drop over time. “Edge-to-edge” to me means a smaller border and no home button, I don’t think we’ll see a screen literally touching all of the phones edges. As for the smaller iPhone, I doubt the screen will be much smaller than 3.5 inches diagonally (if at all). I’m guessing it’s just thinner and with a smaller chin and forehead. …It’s unclear what “half the size” means, but surely it doesn’t mean a 1.75-inch diagonal screen. Gruber likely hits the nail on the head with this, that the iPhone Mini will simply have a smaller chin and forehead. In the mockup I threw together above, the iPhone Mini has the same size screen as the iPhone 4 but everything else is smaller. This is how you get a device that is ‘half the size’ and significantly lighter, without creating another resolution for app developers to contend with. So anyway, this is only speculation combined with Photoshop, but I think it’s entirely possible that the iPhone Mini, if it is released, will use the same screen dimensions and resolution as the existing iPhone 4 model. As Bloomberg says, component prices drop over time, so producing the screen must be getting cheaper for Apple. 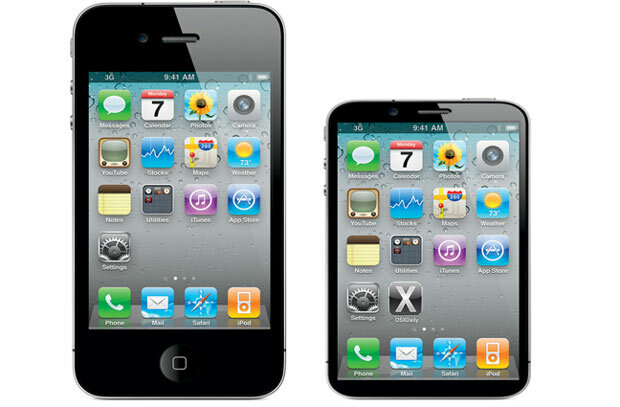 The iPhone 4’s screen is amazing and still one of the best on the market, why not roll it into a new model iPhone? You could describe the iPod Nano as having an edge-to-edge screen too, couldn’t you? 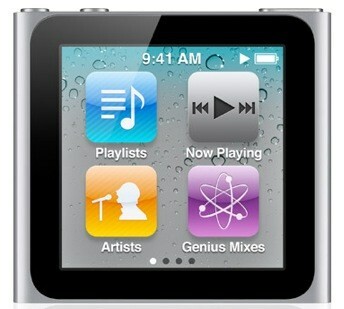 Why wouldn’t the iPhone Mini take design cues from the iPod Nano while maintaining parts from the iPhone 4? And, taking this a step further, why shouldn’t the iPhone 5 and even iPad 2 do this too? 100% agree, no reason for Apple to reinvent the wheel. Take apart an iPhone 4 and you’ll see the display has extra room on top and bottom that could be removed, beyond that it doesn’t take up much space. They can condense the other parts and make it fit into something that is the same dimensions as the reduced display. Only thing that might suffer slightly is battery life, it’s the largest component on the iPhone. I am getting really weary of all the ridiculous photoshop images of this so-called “iPhone-nano”.. Through all of it, Apple will make sure that the Android-like fragmentation issues never come to the iOS. A plausible scenario, except for one thing. If this is how it ends up being, it won’t be the iPhone mini. It will simply be the iPhone. I think this is more likely than the previous mockup because they’ve added the feature of 3? finger swiping on the springboard to go back to home as seen on the new iOS on iPad.